Preserving Pocahontas partnering with the Pocahontas County Historical Society has received funding from the West Virginia Humanities Council, The Marie Leist Foundation and The Greenbrier Valley Community Foundation to inventory and digitize the Historical Archives and the Marie Leist Collection at the Pearl S. Buck Birthplace Museum in Hillsboro, West Virginia. Pearl S. Buck, literary daughter of West Virginia, recipient of the Pulitzer Prize and the Nobel Prize in Literature, activist and humanitarian, and one of most powerful women of the Twentieth Century, was born in Hillsboro. 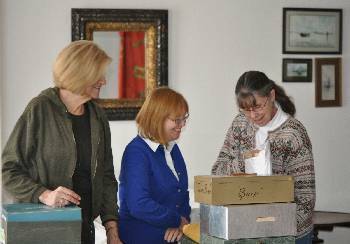 Her birthplace, now a museum, is home to a priceless archive of historical material. Marie Margaret Orndorff Leist was a native of Pocahontas County, born in Arbovale in 1901, one of nine children of Jesse Brown Orndorff and Cora Ella Ervine. She married Stanley P. Leist of Ronceverte in 1925 and upon his death in 1934 opened a specialty shop in Ronceverte to provide for and educate her four children. Marie Leist was a successful businesswoman and received many honors for years of service to her friends and community. Her long held dream was to bring worldwide recognition to Pearl S. Buck and her birthplace. Serving as State Chairman of the Pearl Buck Home Restoration Committee and later as the President of the Pearl Buck Birthplace Foundation she worked tirelessly with Pearl Buck and the WV Federation of Women's Clubs to restore the birthplace, which opened to the public in May 1974. Marie Leist died in 1976. Historic Preservation Officer, B.J. Gudmundsson, will head up the Archive Project. Assisted by the staff and board of the Birthplace Foundation, the work will encompass digitizing the collection, preparing it for public access and creating a safe archival system for storage and retrieval. "The Pearl Buck Archives is a perfect example of the importance of preserving our information heritage," says Gudmundsson. "A word-wide audience of researchers will be drawn to the collection as parts of it become available on the Internet for the very first time. People will then be aware of the Museum's archives, and the staff will be able to accommodate visitors searching for documents and information." The Marie Leist Collection includes photographs, slides and architectural material that document the work involved in restoring the author's birthplace and opening the Museum to the public. 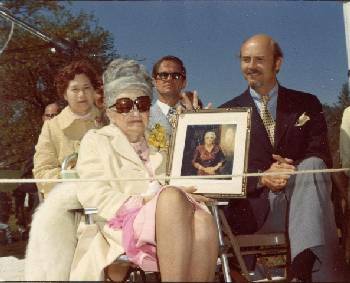 Unfortunately, Pearl Buck died a year before the 1974 Grand Opening. "Pearl Buck matters!" Gudmundsson says. "Her birthplace inspired her life and her work. She wished it to be a place filled with learning and useful things for life. By digitizing this collection we honor that wish and we honor the work of Marie Leist and others who helped her to fulfill that dream."